Disturbing headlines have dominated the news this past week, and my Facebook and Twitter feeds have been full of sorrow, anger and hopelessness. It can feel like too much hurt, too much grief; just too much. Yet I found some sort of relief, like so many do, in art. Visiting the Contemporary Istanbul art fair on Saturday, I was reminded of our capacity to create beauty, initiate dialog and challenge norms. The art on display didn’t magically make everything better, but it did provide a counterpoint to images of carnage and destruction in Beirut, Silvan, Baghdad and Paris. As you enter the Istanbul Congress Centre, it’s at first easy to forget the outside world. With its lack of windows and maze-like set-up, the exhibition space is eerily reminiscent of a casino. Luckily I don’t particularly mind getting sucked into a labyrinth of art. Wandering through the displays, I notice that the fair has more of an Istanbul-centric focus, especially when compared to ArtInternational. If you’ve ever wanted to get a better handle on the established and emerging galleries and art initiatives in Istanbul, this is the perfect place and time to do it. There are, of course, some of the big European names showing their wares. The Paris-based Galerie Lelong displayed two works, one plexiglass and one fabric, from Ramazan Bayrakoğlu, an artist who lives and works in Izmir and a favourite of mine from ArtInternational. Their booth also featured a number of blue-chip Modern Art works by artists such as Miró, Picasso and Chagall. 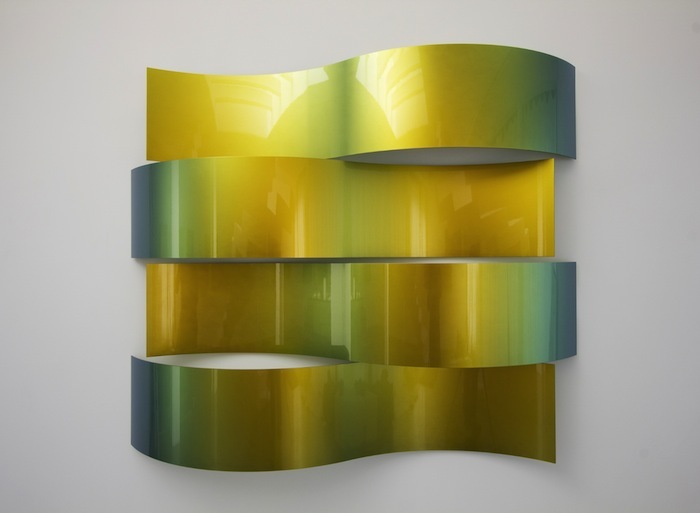 Galerie Loevenbruck, another Paris-based gallery, had some mesmerising works by Lang/Baumann. By painting lacquer on aluminium, the artists have created works that change colour depending on your perspective. Lang/Baumann, a Swiss duo, are known for their architectural installations – one of which you can see at the entrance to the fair – and these works manage to retain that architectural feel while also questioning human sense perception. 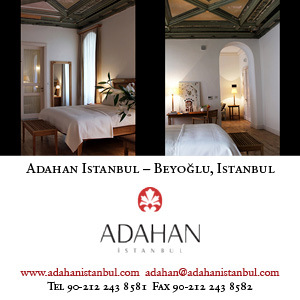 As for the Turkish galleries, there were too many highlights to mention. 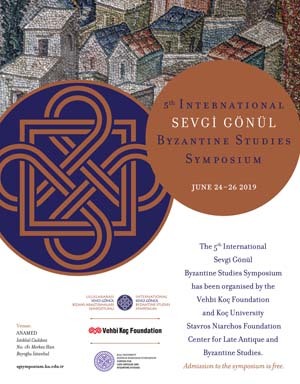 It’s no surprise that The Empire Project, owned and directed by the consistently excellent curator Kerimcan Güleryüz, had some outstanding works on display. My favourite was Burhan Kum’s ‘Once I was a Dictator II’ (main featured image), which shows a man in colourful royal garb reclining against the backdrop of an Istanbul that is falling to pieces; there are massive fires, explosions and sinking ships. As a friend noted, it uses 19th-century disasters as a way of considering the destruction of the city in the 21st century. There were some familiar artists being shown by Turkish galleries. I was delighted to see Emin Mete Erdoğan’s acrylic-on-aluminium work ‘Terraforming 2’ at x-ist’s booth, as the gallery just recently hosted a show titled Entroforming featuring similar work from Erdoğan. Kare Art Gallery, meanwhile, had an art kilim by the artist Belkıs Balpınar, who is also the subject of a solo show currently being held at the gallery. 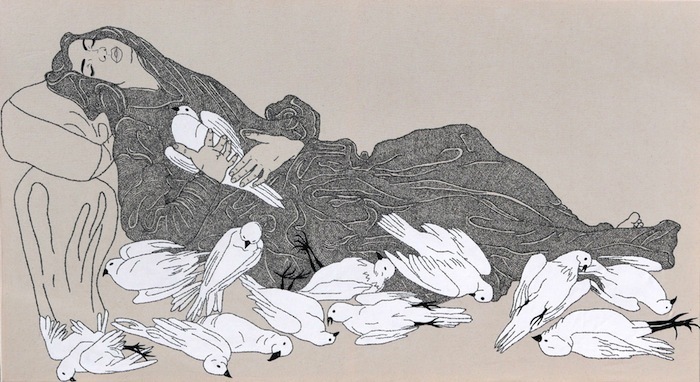 But some new-to-me names also caught my eye, like Arzu Eş, also from Kare Art Gallery, whose work ‘couldn’tspeakawordinpain’ features a woman lying almost in repose with what look to be dead doves scattered around her. The outlines of the doves and the contours of the garment covering the woman’s body are made up of tightly-packed handwriting, a choice that adds an aspect of storytelling to the piece. I was also drawn to two of the rare photography pieces at the fair. These were by Ahmet Elhan of Galeri Zilberman, and both – titled ‘Old Mosque’ and ‘Patriarchate’ respectively – used the layering of multiple photographic images to create gaps that demand extra study and attention from the viewer. This year the fair had a special focus on galleries from Tehran. While the number of participating galleries was a bit smaller than I had anticipated, those who came are some of the highlights of the fair. 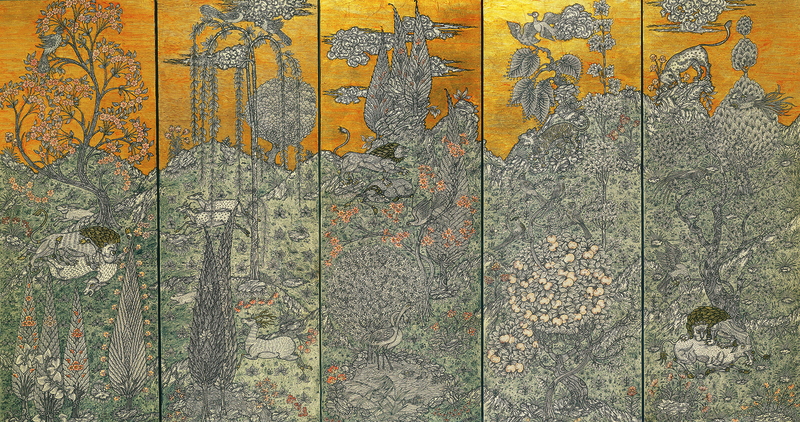 In particular I was drawn to Shirin Gallery and Ali Akbar Sadeghi’s work, which incorporates materials like gold and silver leaf that are not often seen in European contemporary art. Moreover, his animation series looked to me like a play on Persian miniatures. This new perspective on traditional materials and forms is one of many reasons why the Tehran galleries deserve extra attention this year. Having had my fill of the galleries, I headed down to the curated Plugin New Media section, which I was told would be exceptional. I fully admit, though, that I was sceptical about this segment, which was curated around the theme of ‘X-CHANGE’. I was expecting an assortment of experimental and potentially esoteric video installations, admittedly not my favourite form of contemporary art. Instead I was treated to some unimaginable works: 3D visualisations, kinetic sculptures creating new forms through the use of lights and mirrors, and a machine named Franz that allows mushrooms to grow until the mutual interaction between the fungi and the machine is inevitably terminated. I was particularly enamoured of Bager Akbay’s poetry-writing robot, whom he named Deniz Yılmaz. According to Akbay (represented at Contemporary Istanbul by Blok Art Space), the project is ‘research as an art practice’. Deniz represents Akbay’s attempt to turn a human into a ‘stone’ as a means to experiment with human perception and address the issue of robot rights. 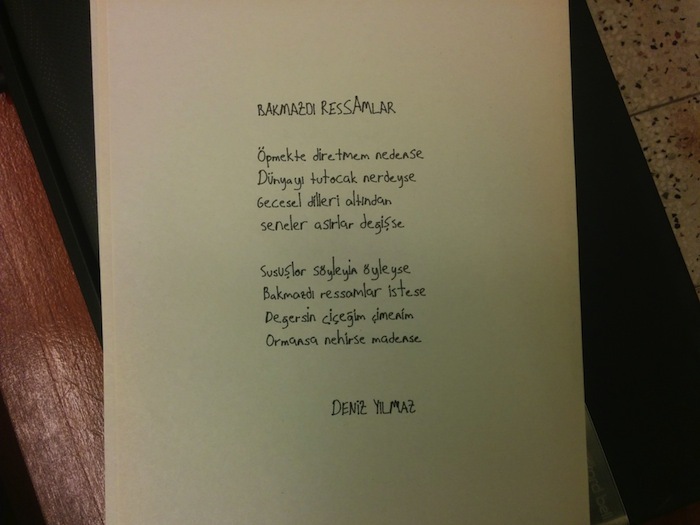 The poems written by Deniz, which were submitted to a newspaper for publication, are on display, as is the machine itself, alongside a video with English subtitles, which can also be watched here. It was only as I was making my way out of the Plugin section that I stumbled upon Morehshin Allahyari’s work ‘Material Speculation: ISIS’. 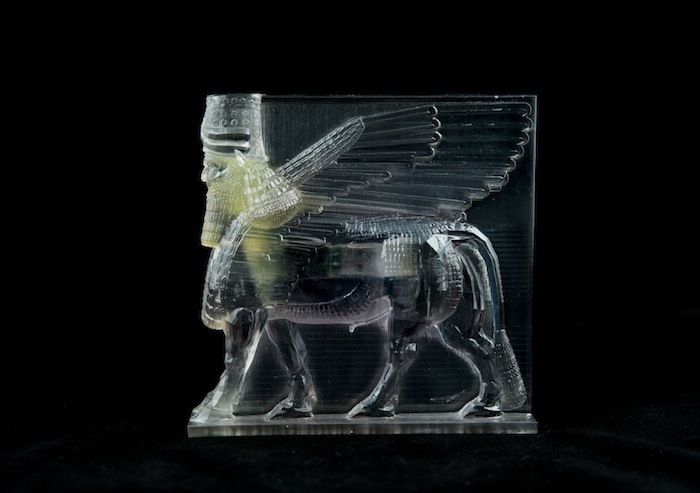 Represented by the Lajevardi Foundation at Contemporary Istanbul, Allahyari presents this in-progress 3D-modelling and 3D-printing project that focuses on the reconstruction of artifacts destroyed by ISIS in 2015. She has so far recreated statues from the Roman city of Hatra, and Assyrian artifacts from Nineveh using 3D printing, which she views as a tool and process for repairing history and memory. What is most fascinating about the project is that each 3D model is a time capsule – inside each body is a memory card with images, maps, PDF files and videos on the artefact, and instructions for accessing the memory card without destroying the object itself. It was the perfect piece to end on, before making the transition back to the outside world, as it acutely demonstrated the ways in which art can respond to and engage with the political realities of our time. Today (November 15) is the last day to check out Contemporary Istanbul. Don’t miss your chance!